5 out of 5 stars based on 1 user ratings. 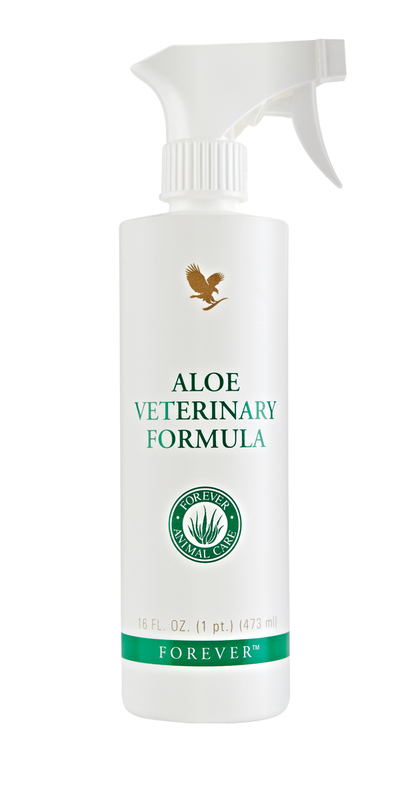 Pets are part of the family too and Aloe Veterinary Formula is better than any belly scratch so it's the perfect way to show that you care! This easy-to-apply spray is ideal for soothing irritations, cleansing areas before applying dressings or to achieve a glossy and conditioned coat after bathing. The gentle formula can be diluted to cleanse irritated eyes or to clean dirty ears. It can also be used as a soothing leg wash to provide protection after exercise. For pets and horses. Aloe barbadensis leaf juice (stabilized aloe vera gel), water, allantoin, glycerin, tocopherol (vitamin E natural),ascorbic acid, potassium citrate, propylene glycol, polysorbate 20,sodium citrate, imidazolidinyl urea, methylparaben. No available certifications for this product. No available videos for this product. Are you sure you want to rate this product with 4 stars?